Welfare reform is always contentious, not least because it starts with the euphemism ‘reform’ where what is meant is ‘reduction’. The argument in favour of reduction is characterised by rhetoric, pitting ‘hard-working taxpayers’ against ‘scroungers’ and ‘spongers’or worse. Reduction, in one form or another, has not been off the agenda for many years. In its Spending Review of October that year, the Government said that it would focus on ‘reducing welfare costs’ and would promote ‘work and personal responsibility’. It was said that this would save £7 billion a year. The total planned saving to the welfare bill from the cap was £270 million a year. The only reform in that Spending Review that was directly aimed at housing benefit was to reduce the amount paid to single claimants. It was anticipated that this would save £215 million a year. As the programme of reduction has rolled on, however, most of the key changes to housing benefit in the 2010 Budget have been made, while the benefit cap proposed in the Spending Review has itself been implemented through (what is left of) housing benefit. The first of the key changes is the social sector size criteria, also referred to by the Department for Work and Pensions (DWP) as the ‘removal of the spare room subsidy’ and characterised by its critics as the ‘bedroom tax’: it is not really a tax but the name has stuck, so we shall use it here. The bedroom tax is implemented by regs A13 and B13 of the Housing Benefit Regulations 2006 (SI No 213) (as amended). It requires local housing authorities to calculate the housing benefit payable to social housing tenants by, inter alia, reference to the number of bedrooms for which the claimant is eligible, defined by the number of occupiers of the property – for instance, a couple are expected to share a bedroom; likewise, two children under the age of 10 are expected to share. If the property contains an extra bedroom, the housing benefit payable is reduced by 14 per cent; if two or more extra bedrooms, by 25 per cent. The impact assessment suggests no great financial savings from this, maybe none. The theory behind it is that under-occupied social housing should be freed up in order to allow families to move out of over-crowded housing. In reality, it is not so simple: there are many more cases where an extra bedroom is legitimately required than the Regulations provide for; and, it is outright ignorant to assume that moving is simple or in many cases even possible, especially if a social landlord (offering an affordable rent) does not have (or is not willing to offer) an appropriate, smaller property. Thus, there is no qualification on the reduction that smaller, affordable accommodation is available, or that the local housing authority will make it available. Of course, it is also economic nonsense: given that most social housing rents have not yet risen to the putatively affordable level of 80 per cent, a move to smaller private rented accommodation is likely to mean an increase in housing benefit (at least until the cap is hit). As an aside, as a housing policy, it is also dubiously a legitimate purpose for social security legislation (notwithstanding the name). 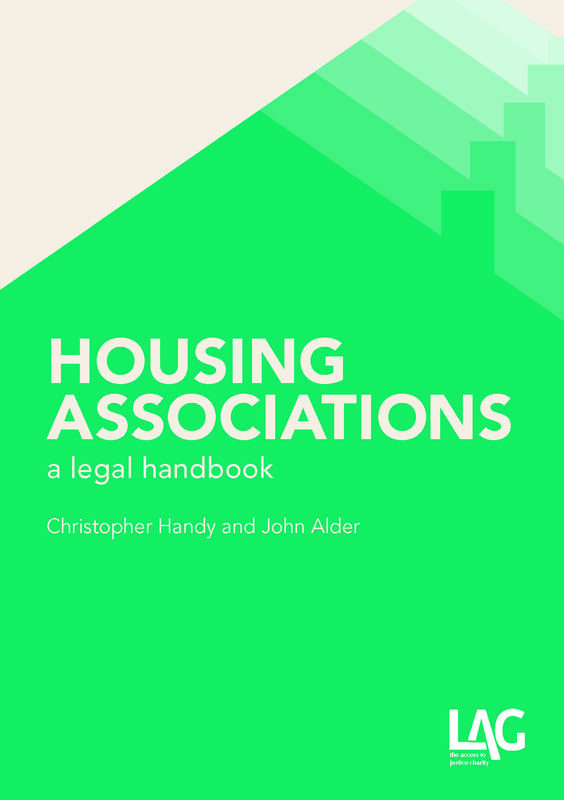 Furthermore, it conflicts with Housing Act 1985 s84 and Sch 2, Grounds 15A (England) and 16 (Wales), ie under-occupation is only a ground for possession – freeing up local authority housing – on the death of a tenant. Keen to publicise the positive options available to those affected by the bedroom tax, the DWP has launched some information videos. The videos only serve to highlight the paucity of options. Those affected by the bedroom tax are told in one video that they could either move to a smaller property, find a job or take on extra hours at work (as in that’s their choice, not one for their employers? ), or apply for a Discretionary Housing Payment (a payment from a limited pot of money which is, as the name indicates, entirely discretionary and which, largely, veers between a tight-fisted approach at one authority to outright refusal at another; it is also almost invariably provided for only a limited period of time). In another – self-congratulatory – video, DWP have managed to find one housing benefit claimant who had moved to a smaller property. The fact that he is such a rare example of how the policy can work reminds us of the way government criticises campaigners for using isolated cases in place of hard evidence, when lobby groups proffer victims of cuts – welfare, housing, education and health – to make their point for media coverage. We do not need to rely on our experience of working with social landlords and tenants to know just how exceptional it is to be able to make this sort of home-swap. Not only is it general knowledge but it was also the predictable consequence of an increasingly-capped housing benefit system that more and more private landlords would cease to accommodate tenants dependent on it. The second key change to housing benefit is the wider benefit cap. This was set out in the 2010 Spending Review although it was not clear at the time that it would be operated by what is in effect deduction from housing benefit. The cap is governed by Welfare Reform Act 2012 s96 and regs 75A to 75H of the 2006 Regulations. It kicks in where a claimant’s total entitlement to welfare benefits (with only a limited number of disregards) is more than £350.00 per week for single claimants or more than £500.00 per week for all other claimants. The cap reduces the housing benefit payable to that claimant so that the total of (non-disregarded) benefits paid does not exceed £350.00 or £500.00 as the case may be. Again, this is far from unproblematic. It can lead in some cases to significant reductions: in one case that came before the courts, the claimant’s weekly benefit was reduced by £176.75 per week; this is not the highest we have seen. The effect is heightened in cases of homelessness, where applicants are placed in temporary accommodation. While social housing rents are considerably lower than private sector market rents, this is not true of temporary housing. Much temporary housing does not belong to local authorities, but is rented by them from the private sector and then made available to homeless applicants. It is not uncommon, at least in London, to find rents for temporary accommodation that are three or four times higher than the comparable rent for a secure tenant. Two challenges, by way of judicial review to the reforms have, so far, failed: R (MA) v Secretary of State for Work and Pensions  EWCA Civ 13, on the bedroom tax; and, R (SG) v Secretary of State for Work and Pensions  EWCA Civ 156, on the benefit cap. An appeal against the Court of Appeal’s decision in the latter case has been heard by the Supreme Court yesterday and today, with a telling intervention by Shelter making some of these points, emphasising as a common theme the want of choice available to tenants. The result is keenly awaited and we may return to it in a future post. Meanwhile, the House of Commons Work and Pensions Committee has this month published a detailed and wide-ranging report, Support for housing costs in the reformed welfare system, containing a number of clear recommendations to the Government none of which is likely to be followed. The Committee begins by noting a concern that rents in the private sector are becoming unaffordable for housing benefit claimants and that ‘Private sector properties which remain affordable to LHA recipients are increasingly of poor quality’. We touched on the issue of the quality of stock in the private rented sector in a previous post. It is apparent that for many people there is no choice other than to accept substandard housing. Quite simply, it is all that they can afford and if they complain about the condition, they risk being evicted. 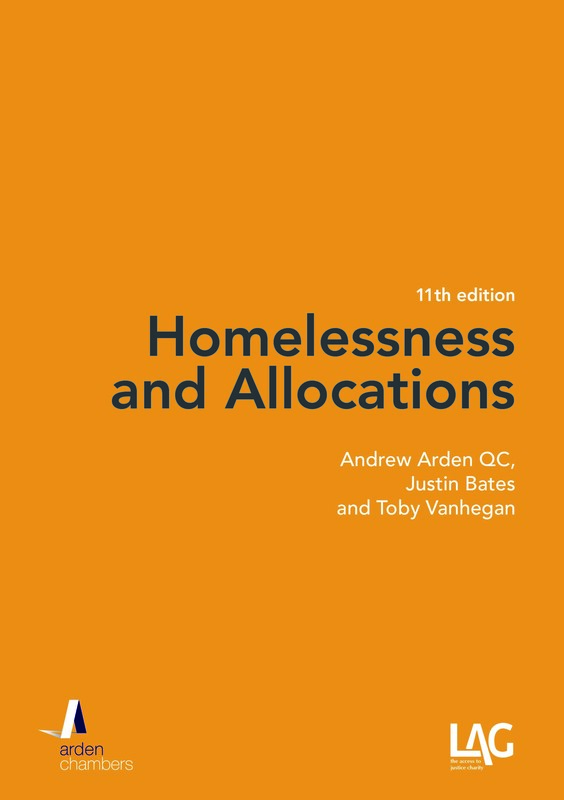 Closely connected to affordability, the Committee also notes evidence that housing benefit reforms are actively increasing the level of homelessness in certain parts of the country. There are obvious concerns here for those households that are affected but there are consequences for local housing authority resources as well. The Committee moves on to consider the bedroom tax. In other words, contrary to the Government’s apparent expectations, there is no vast, previously untapped, reserve of tenants who merely lack the impetus to push through a move. The Committee’s report goes on to the size-blindness of the Regulations, eg a room may only be large enough to accommodate one child, yet the Regulations would appear to assume that two children should share it – and the absence of sufficient provision for disabled people. We pause to note that there has been a number of First-tier Tribunal decisions where the application of the bedroom tax has been challenged, both in respect of size and the needs of a disabled claimant. The outcomes appear to vary wildly and there is a marked degree of uncertainty in this area. The Committee is also critical of the implementation of the benefit cap: a wider exception is called for in cases where disability is involved; and, the Committee draws attention to the difficult issue of temporary accommodation. Housing benefit is an important resource for many tenants. The proper assessment and distribution of housing benefit is important stuff. Difficulties – substantive and administrative – with benefits have long led to rent arrears, at which point the next stop is a claim for possession. 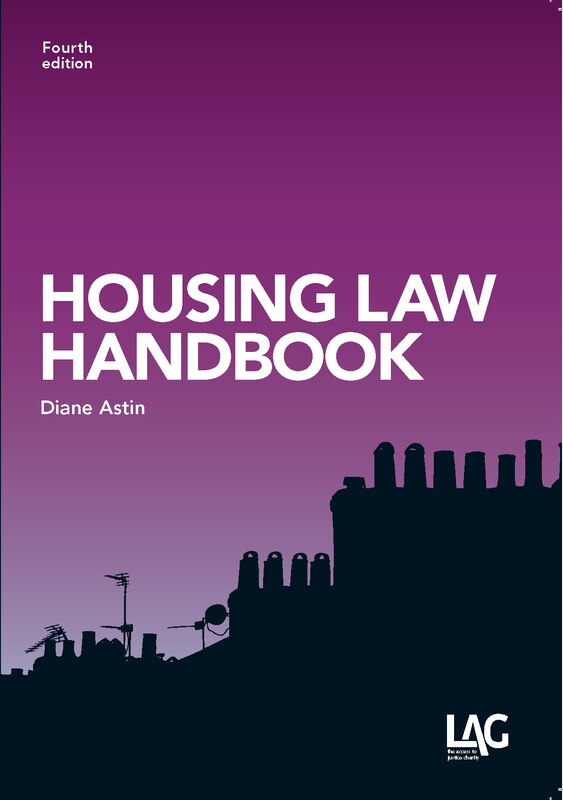 That process is explored in a recent research report from Professor Susan Bright and Dr Lisa Whitehouse, Information, Advice & Representation in Housing Possession Cases. It is inevitable that taking away part of a claimant’s HB, whether under the bedroom tax or the benefit cap, will lead to more tenants in arrears. The upshot of these reforms is that social landlords and tenants are both faced with difficult decisions as both are left to bear the brunt of aggressive populist posturing masquerading as policy making. It is precisely the analysis that should have been undertaken before the present policy was adopted. We are left to wonder what the purpose of these reforms really is. The proposed savings – even if realised – are, in the big picture, relatively small: between little and nothing for the bedroom tax and £270 million on the benefit cap, neither of which factors in the consequential costs (increase in DHPs, court costs, homelessness applications, not to mention longer-term consequences to health and education). It is policy change for the sake of it. Put another way, all that it achieves for the ‘hard-working taxpayer’ is the targeting (of benefit claimants) itself: it makes the former feel better because the latter are feeling worse but does not actually save any amount of expenditure that makes a difference.